Teachers, gardaí and nurses have all voted in favour of industrial action in the past year. IT’S BEEN RECOMMENDED that public sector employees on certain pension schemes should contribute more into the scheme. The government set up the Public Pay Commission last year to dissolve Fempi measures, which were introduced in response to economic hardship. The commission has released their report of recommendations on the issue today. The Minister for Public Expenditure and Reform, Paschal Donohoe said he will now invite unions to talks before the end of this month in a bid to extend the Lansdowne Road Agreement. The Commission believes that the values identified for those on legacy standard accrual pension schemes and fast accrual schemes should be addressed by providing for an increased employee contribution for those who continue to benefit from those schemes. At the launch of the report today, the minister said he understands the needs of public sector workers and recognises “the huge contribution they have made to where our economy stands”. The Alliance of Retired Public Servants said it was disappointed with the report’s findings, saying the report didn’t address ”the issue of pension restoration for the country’s 140,000 retired public servants”. 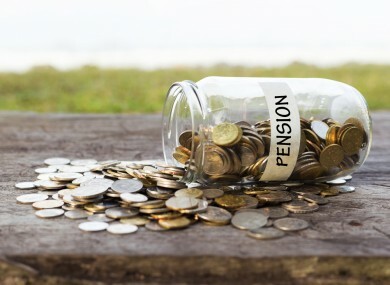 The organisation asked that the government meet with them to discuss restoring pensions sooner than the projected date of 2021. Donohoe said the “public service pension issue is a complicated and changing situation”. He said the talks will determine if there is a way to secure those agreements and make them sustainable in the future. The report also said that recruiting for the health service is a problem because of existing pay rates and how health staff are “in demand internationally”. Despite this observation, Donohoe said that “the Commission’s report makes it very clear”. We have no generalised recruitment or retention issues in our public service. This is evidenced alone by the fact that the numbers of individuals who work in our public service has now grown over last couple of years… across nearly all public services. He said that the report showed where there were recruitment problems, there were other issues at play causing difficulties in the workplace environment. It also said that ‘previous flexibilities will need to be revisited’ in relation to employment in the healthcare sector. Donohoe said whatever pay deal is reached, it will not be done on a sector by sector basis – but must be done collectively, meaning there will be no special deals for nurses, teachers and so on. “It has to be an agreement that we can afford over the next couple of years,” he said. While the minister welcomed today’s report, he said that it would only inform the government and “does not determine the government’s stance”. Although he didn’t outline a timeframe for the talks, he said he ‘wouldn’t think it would go on for months and months’. Although the report didn’t conduct a ‘like-for-like’ comparison with the private sector, it did say that by 2014, “pay for public service employees at lower levels appeared still to be higher than private sector pay levels for people with similar characteristics”. Donohoe admitted that although the gap between public and private sector pay seemed to be narrowing, Ireland’s public sector pay deals were higher than the EU average. Donohoe says that he will now extend an invite to public sector unions for talks on “affordable and sustainable” pay agreement. Email “Public sector workers should pay more into pensions, government told”. Feedback on “Public sector workers should pay more into pensions, government told”.